Although its true function remains unclear, sleep is considered critical to human physiological and cognitive function. Equally, since sleep loss is a common occurrence prior to competition in athletes, this could significantly impact upon their athletic performance. Much of the previous research has reported that exercise performance is negatively affected following sleep loss; however, conflicting findings mean that the extent, influence, and mechanisms of sleep loss affecting exercise performance remain uncertain. For instance, research indicates some maximal physical efforts and gross motor performances can be maintained. 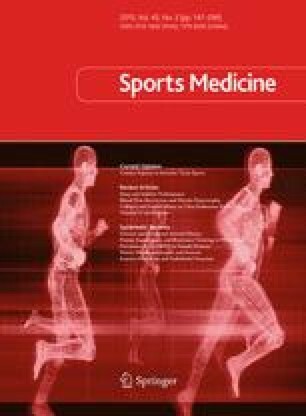 In comparison, the few published studies investigating the effect of sleep loss on performance in athletes report a reduction in sport-specific performance. The effects of sleep loss on physiological responses to exercise also remain equivocal; however, it appears a reduction in sleep quality and quantity could result in an autonomic nervous system imbalance, simulating symptoms of the overtraining syndrome. Additionally, increases in pro-inflammatory cytokines following sleep loss could promote immune system dysfunction. Of further concern, numerous studies investigating the effects of sleep loss on cognitive function report slower and less accurate cognitive performance. Based on this context, this review aims to evaluate the importance and prevalence of sleep in athletes and summarises the effects of sleep loss (restriction and deprivation) on exercise performance, and physiological and cognitive responses to exercise. Given the equivocal understanding of sleep and athletic performance outcomes, further research and consideration is required to obtain a greater knowledge of the interaction between sleep and performance. No funding was provided that contributed to the development of this manuscript. The authors declare that there are no conflicts of interest. Hugh Fullagar is supported by a ‘Science and Health in Soccer’ scholarship funded by the DAAD (German Academic Exchange Centre). The preceding manuscript is a critical review of the literature, thus does not include any original research pertaining to clinical studies or patient data that required ethical approval. However, both affiliated institutions were aware of the construction of this manuscript and supported such a practice. This critical review was conducted in good faith and in accordance with best current practice, whereby the quality, suitability, and significance of each article was evaluated by the experience and expertise of the body of authors prior to final collection and reporting. Calder A. Recovery strategies for sports performance. USOC Olympic Coach E-Magazine 2003 (cited 2013 December 15). http://coaching.usolympicteam.com/coaching/kpub.nsf/v/3Sept03.